We’ve all experienced sleepless nights studying for our midterms and finals at some point in our undergraduate careers. However, how would you feel if you genuinely needed to sleep, but couldn’t no matter how hard you tried? You would toss in your bed, stare at the alarm clock anxiously counting the hours of sleep you have left. 4 hours. 3 hours. Your brain just can’t shut off. These are just some of the difficulties of living with insomnia. 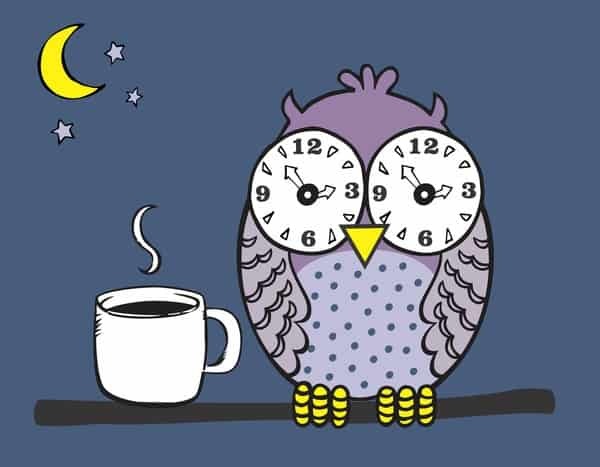 While it may be difficult, various pharmacists have suggested that individuals with insomnia set a time to wake up and a time to fall asleep every day. The body works on an internal clock. Some general practitioners have suggested even waking up every morning at 6 AM, but you should set your own time and STICK WITH IT. Creating a sleep schedule will train your body to wake up on a consistent time every morning. The set time gives your body expectations and allows for a better chance to synchronize your circadian rhythms and melatonin levels (a hormone that induces sleep). Exercising early in the morning can increase your alertness and cognitive abilities, especially if you have class later in the afternoon. There are many benefits to regular exercise that have implications in sleep. The main point is that energy depletion that occurs as a result of exercise stimulates the recuperation process of sleep. In other words, you’ll progressively get tired throughout the day and would want to sleep much earlier. If you exercise right before bed, this can have a stimulating effect on the body and you will have trouble falling asleep. Utilize your bedroom for sleep only! If you consistently study in your bedroom, you will begin to associate it with work and not sleep. You will begin to stare at your desk with all your textbooks and become reminded of all your upcoming deadlines. Instead of studying in your bedroom, try studying in your living room, your dorm’s lounge, or the library. Eating large meals activates the digestive system and can keep you up at night. Try eating dinner no later than 6 PM to give your body time to digest everything. This tip is pretty obvious. Many students, including myself, tend to rely on coffee as brain power for their early classes or the popular Yerba Mate drinks to keep them alert while writing their papers. The stimulating effects of caffeine can last several hours and severely affect your sleeping patterns. Not only can caffeine impact your ability to sleep, but also can result in frequent awakenings. Doctors have suggested that individuals should have their last sip of caffeine before 2 PM. I know this could be difficult for us Gauchos, since a majority of us are Yerba and Starbucks addicts--but we have to try. 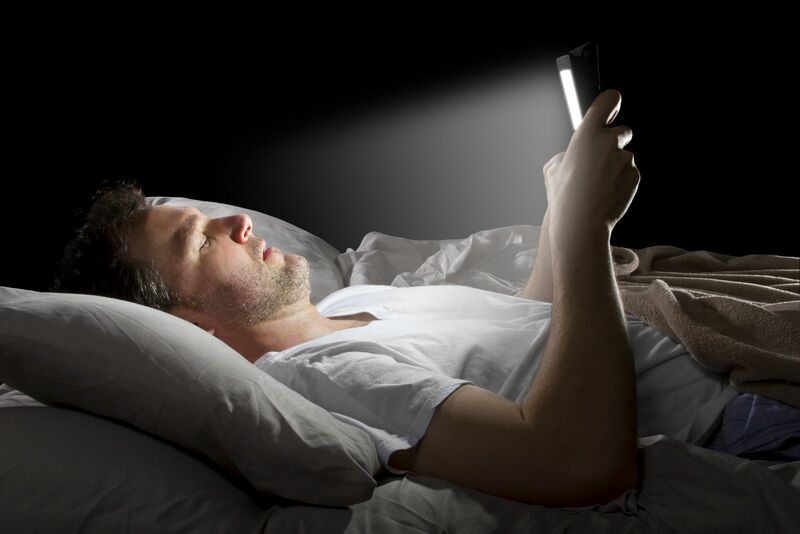 Both the content and the light emitted from our screens negatively impacts our sleep schedules. When we are watching exciting Youtube videos or binge-watching Netflix, the brain releases norepinephrine as the sympathetic nervous system activates, making it difficult for the body to unwind and eventually go to rest. In addition, many of our devices elicit a bright light that disrupts the body’s circadian rhythms and suppressing the release of melatonin. Make sure to put your phone on Night mode, which dims the light on your screen and reduces the strain on your eyes. Better yet, disconnect by putting your phone in airplane mode. In this way, you won’t be tempted to check your social media and can finally put yourself at ease. An alternative to screen time is dimming your lights and reading a few chapters of a book. To rid myself of my worries, I like to write everything that’s bothering me in my journal. Personally, writing everything down helps me to spill out everything that’s going on. The way I see it--it’s almost like you are taking these thoughts and placing them elsewhere. Some other mindfulness practices include meditating and listening to ambient sounds or ASMR. Doing these activities before bed help to gradually prepare your body for rest. I would also invest in a diffuser and essential oils, particularly a lavender-scent. Studies have shown that the mere scent of lavender increased slow-wave sleep, slowed individuals’ heartbeats, and relaxed the tension in muscles. Gabby is a third year double-majoring in Psychological & Brain Sciences and History, with a minor in Professional Writing. She was born and raised in San Francisco, but decided to trade in the fog for the sun and currently resides in Santa Barbara. Her main goal as a HerCampus editor is to inspire women to always be the best versions of themselves. After completing her undergraduate studies, Gabby plans to attend law school and practice criminal law. She is particularly passionate about representing incarcerated individuals with behavioral health concerns. Her hobbies include singing, reading, and cooking. Catch her on campus walking around with a Harry Potter themed backpack with a huge stack of books in her hands.